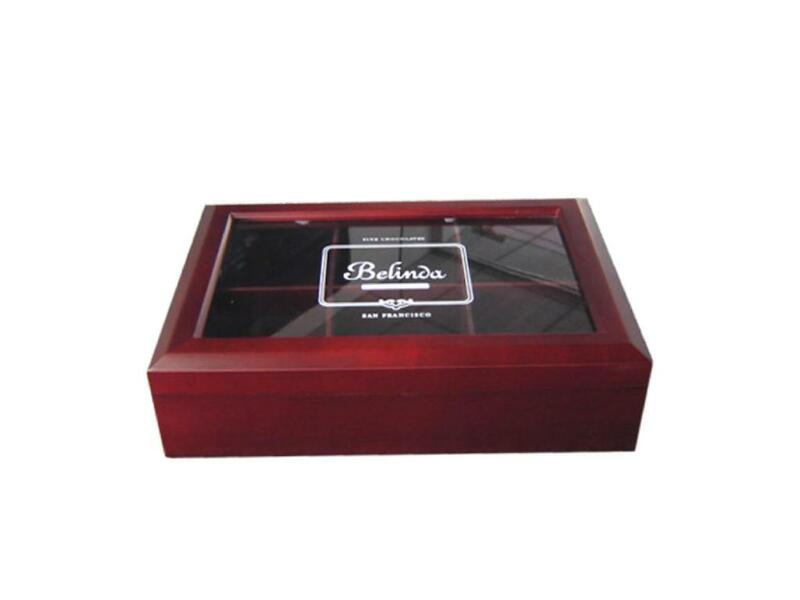 This specially designed wood tea storage box has an acrylic window. Inside, tea bags can be seen clearly without lifting the lid. The entire box is stained with a beautiful red stain. We used two 90 degree supporting hinges and a magnet closure to give a steady construction of this tea box. A logo can be imprinted on the acrylic, as shown in the picture. Extreme Enterprise is a first class manufacturer of high quality custom wooden tea storage boxes. We are committed to providing you with an excellent product that will exceed your expectations, excellent customer service and a guaranteed price that will beat all our competitors. Utilizing our skilled craftsmen, we pride ourselves in manufacturing the highest quality custom made boxes available in China.